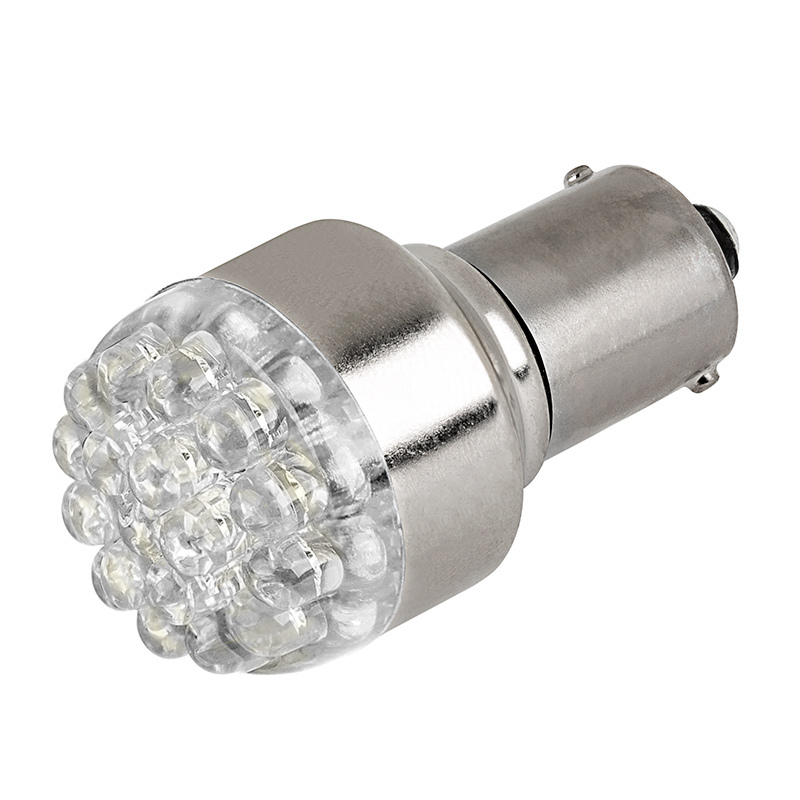 LED replacement bulbs can fit numerous RV and boat applications such as footwell lights, dome lights and navigation lights. 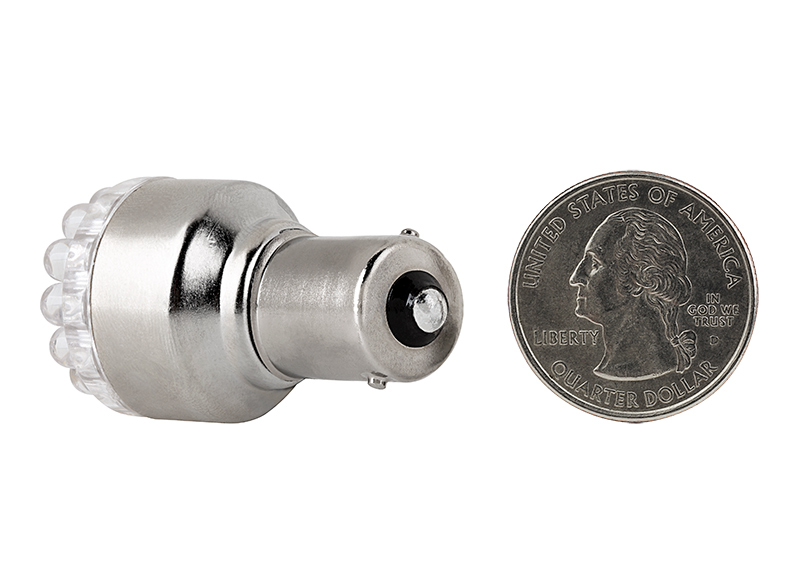 This 1156 single-contact bulb has 19 top-mounted LEDs (5-mm) that create narrow 15° or wide 100° viewing angles. 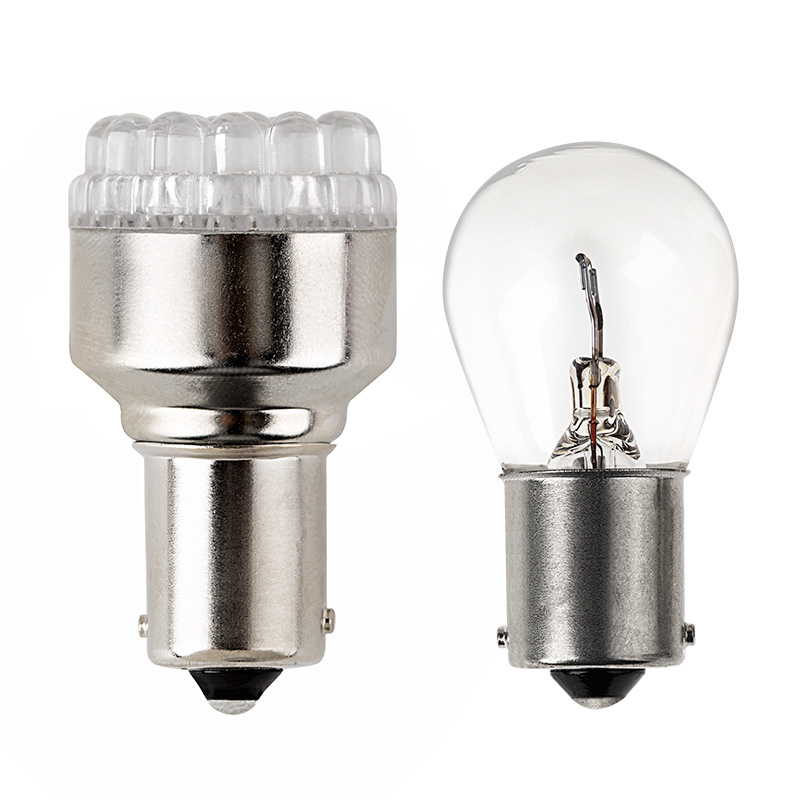 Produces 19 lumens at 5500K and 6500K. 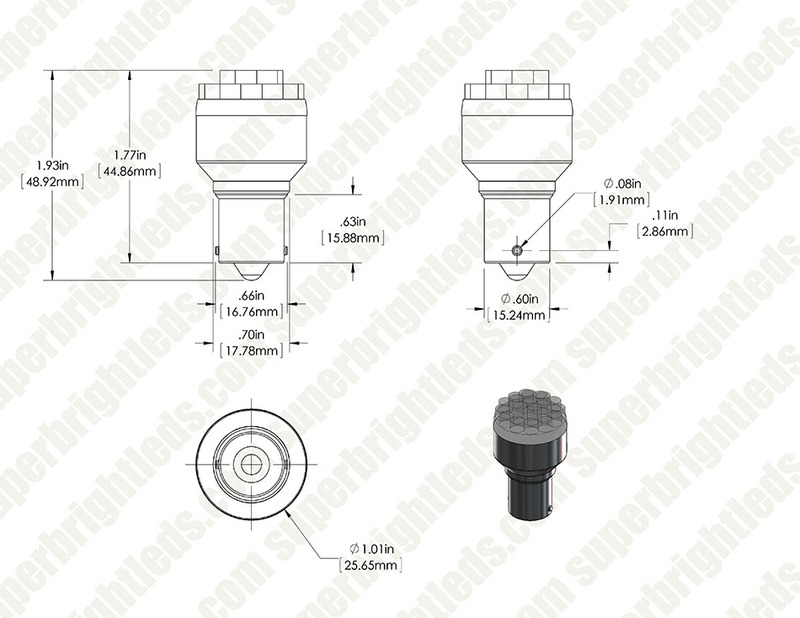 BA15S 15-mm bayonet base for easy plug-and-play installation—just twist to lock in place. 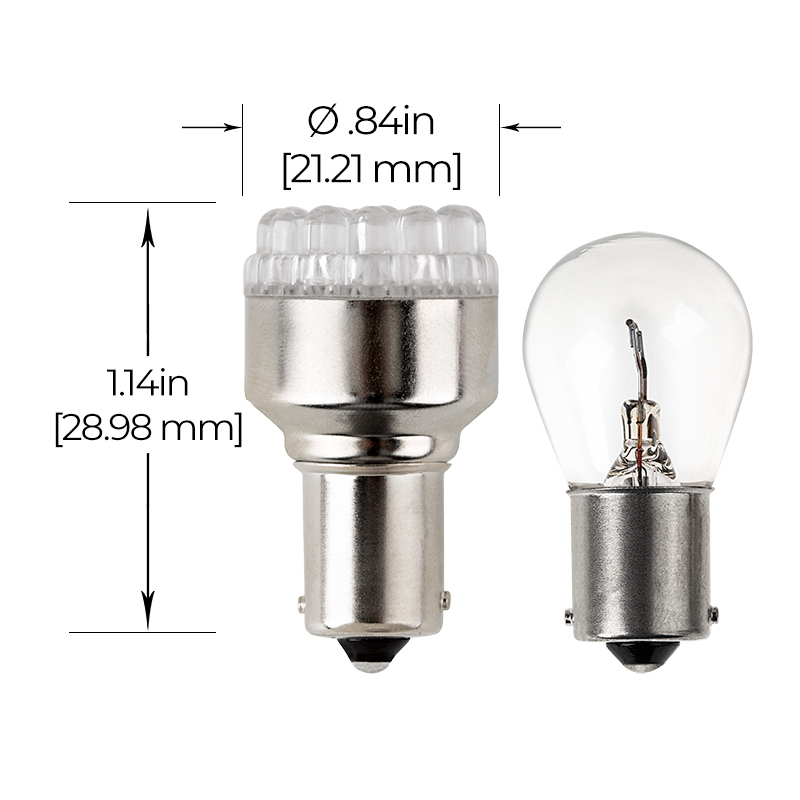 The energy-efficient bulb has 6 VDC operation and is designed to last 10,000 hours on your motorhome or boat—8 times longer than incandescents. Available in cool white, amber and red. Not sold in pairs. Price per bulb. Been using this bulb in a 1931 Ford A 6volt positive ground system for about 2 years; works great. Only thing I wish for is greater brightness!! Doesn't work well as a running taillight though as it does not show thru the license plate lens well. 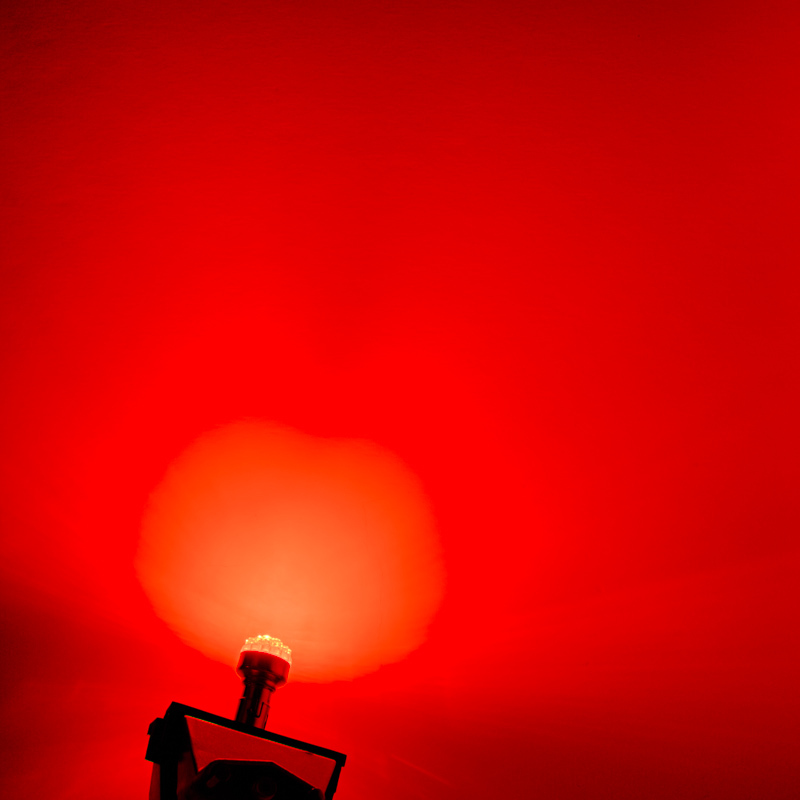 In my 1948 Citroen turn signals, this focused directional light can now be seen in the daytime by drivers following and in front - my 15 watt incandescents just didn't get the attention of other drivers in the daytime. Another benefit is with the old fashioned controller, my incandescents just sort of pulsated in brightness, didn't really turn off completely - with the LED's they actually go off and then back on (that is with only one LED in circuit or, as I now have it, both bulbs LED's with a 3 ohm load resistor in the circuit for each side. People expect turn signals to go off and on, not just pulsate, so this is a big improvement. As always, I wish they were even brighter, but the currentl level is much better. 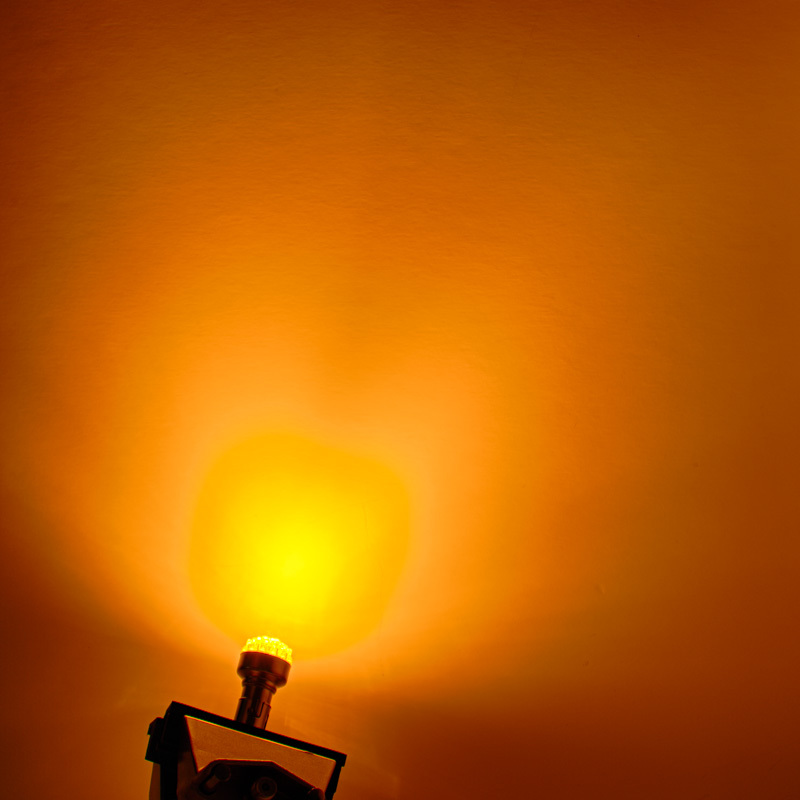 Also they are very little larger than the 25 watt incandescents so fit in my lens with no problem. These LEDs are VERY bright and efficient and work amazing as blinker replacements. I tried to use them on my 1979 DT400, but I couldn't fit a load resistor into the electrical compartment. I would recommend using this on any bike if you can manage to find a way to add a load resistor onto your bike. Replaced original turn signal bulbs (front and rear) in my 1963 6 volt VW Bug. First application with replacement of both front and rear bulbs was unsuccessful. There was insufficient resistance to make the bulbs/flasher work. Tried to place resistors in system to provide necessary resistance, but that did not work. 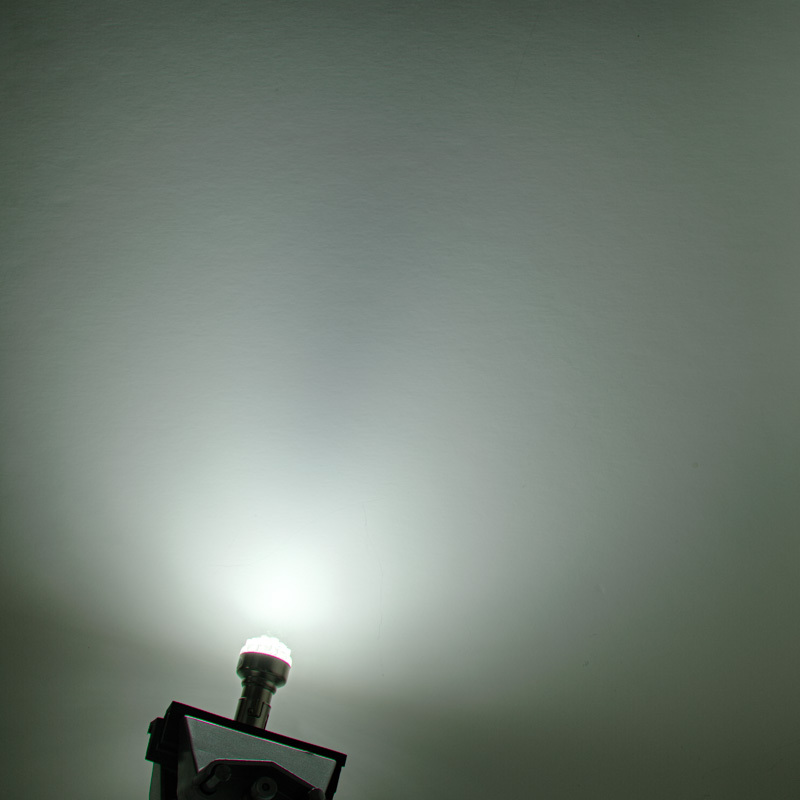 Tried to use one of the original bulbs in front and one LED bulb in rear. Original bulb provides sufficient resistance and both front and rear turn signal bulbs work. Plus they are brighter. Ordered some 6 volt leds, and now the back of our old car is visible at night!